Lombardy Estate is a popular wedding venue in Pretoria area. 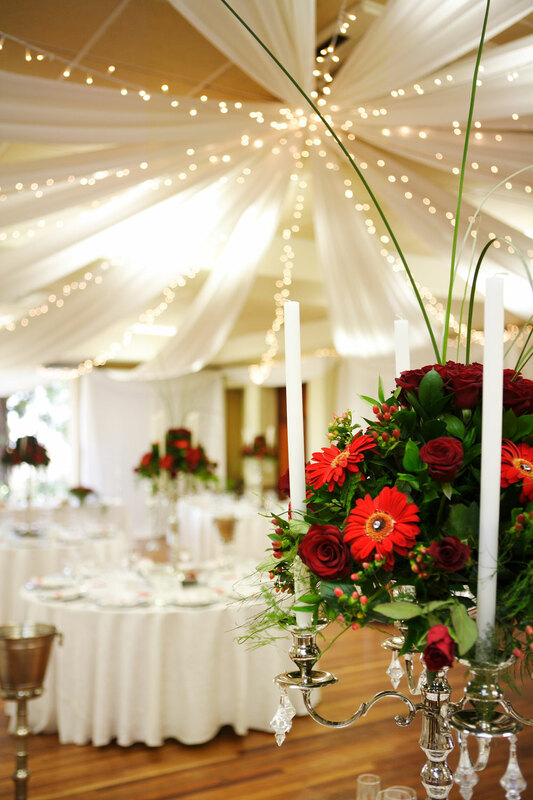 The wedding venue provides the ideal setting for a wedding ceremony and, in addition to the entertainment areas, this hotel in Pretoria also offers a charming open air chapel. The tranquil setting of the estate with its lush gardens and fountains surrounded by lofty trees, lends itself to a treasured experience of old-world charm, perfectly enhanced by its magnificence and exquisite style. Lombardy Estate offers the perfect intimate venue for your wedding ceremony, with spectacular venues to choose from. This 5 star establishment, not only promises distinct quality and excellent service, but also guarantees a memorable experience in style, grace and opulence. Understanding that your wedding day is one of the most memorable days of your life, the professional banqueting team will be there to look after all your needs and to ensure the smooth and successful management of your wedding. As a gift to you on your special day, Lombardy Estate offers a complimentary night in their Honeymoon Suite (if not available, then a Deluxe Suite) which includes a Full Breakfast the following morning. This suite is fitted with its own private Spa-bath and fireplace. Special accommodation rates are also available for your wedding guests. Would love to know when u arrange weddings or corporate functions do u have requests to know if u have a DJ that u can suggest? If u do not have a set company that u use then we would love the opportunity to work with u. If are interested please let me know and we can make arrangements for the future. We are very professional and have state of the art equipment and a huge data base of music to make sure we keep all clients happy!